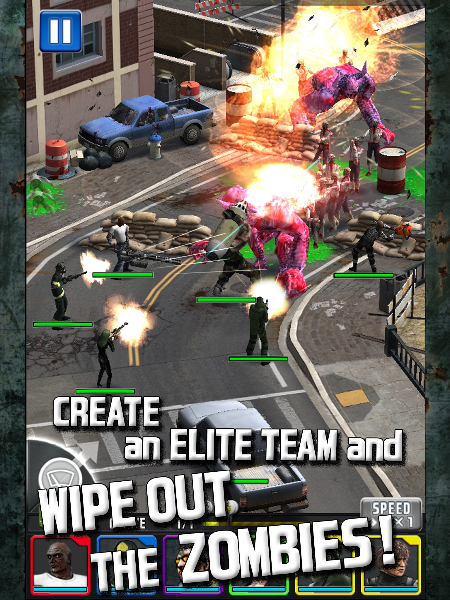 ZOMBIE STAMPEDE is a free-to-play mobile tower defense game. 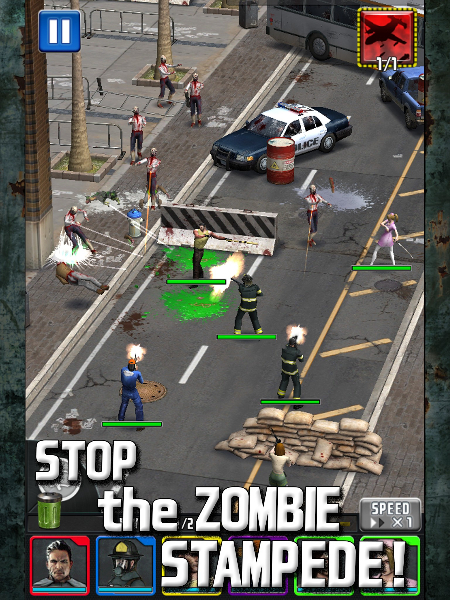 A mysterious virus has swept through the world, and you must stop the zombie hoards by placing hunters to keep them at bay. 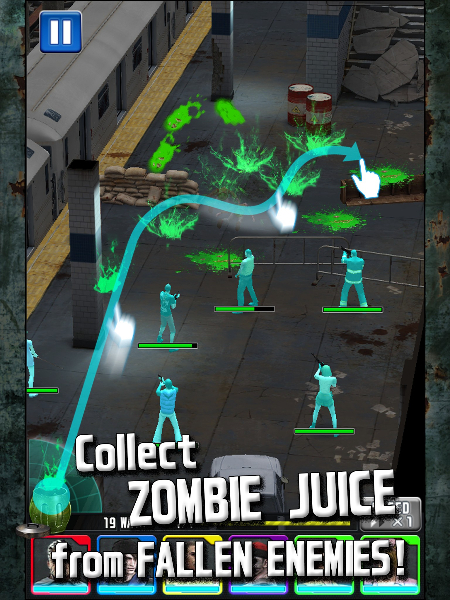 Zombie Juice: Swipe up the zombie juice from fallen zombies, and use it as currency to unlock hunter skills to survive. 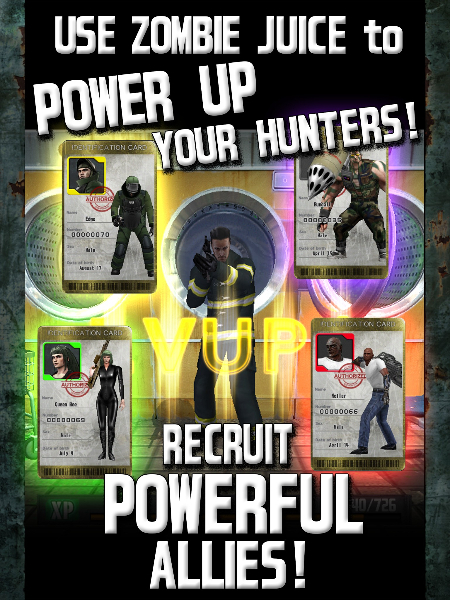 Collect Powerful Hunters: Don't just upgrade your current hunters; unlock new ones by getting ID cards from the card box. 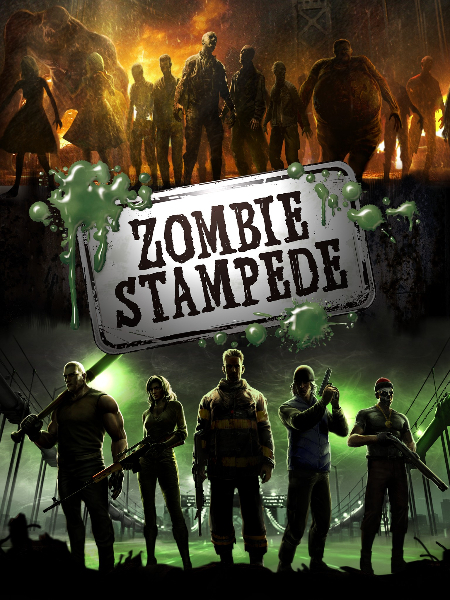 Unveil the Story: Gideon Kilgore was saved from the virus by an experimental drug, and now dedicates his life to hunting zombies. Uncover the truth!